Successfully Added FrankenSkull Styled Mechanical Mod Kit - 510 Thread, 6.2ml Tank, 18650 Battery, Adjustable Airflow, Single and Dual-Coil to your Shopping Cart. 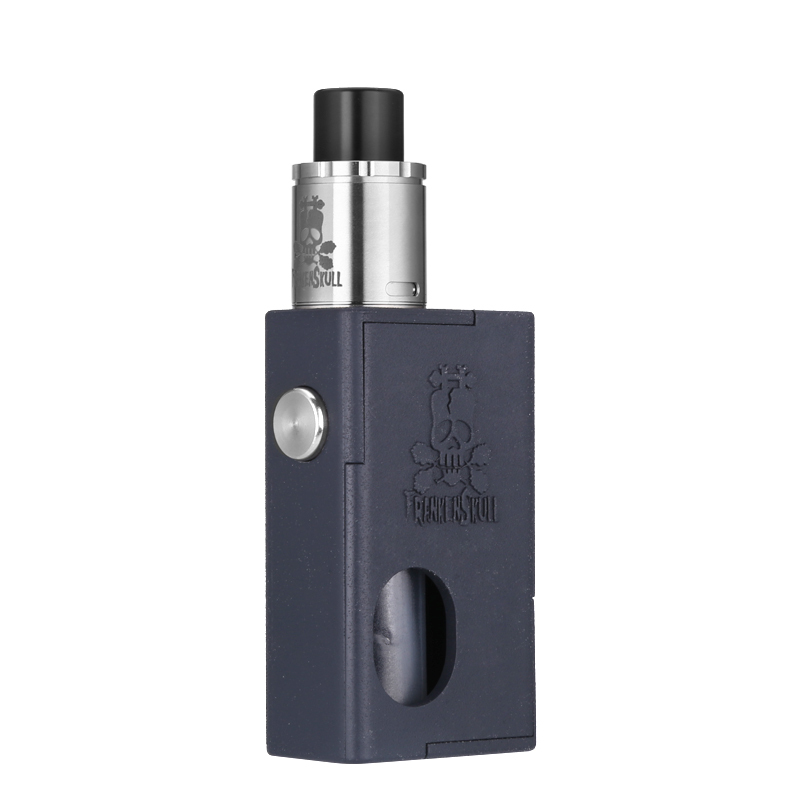 For all the vapers out there that are looking for something different, the FrankenSkull Box Mod Kit is the perfect e-cig. This budget e-cigarette has a cool design that features the FrankenSkull logo, really setting it apart from all the other vaporizers out there. Crafted out of tough PC material, this electronic cigarette is durable and affordable. Coming with sophisticated specs, this remarkable device certainly is a cheap e-cig that offers real value for money. Perfect or all beginning vapers out there or simply for those of you that like to stand apart. This e-cigarette is sure to meet all your vaping demands. As a box mod kit, this e-cig comes with all the parts and components needed to assemble your own vaporizer. Thanks to its 510 thread, you will be able to use the box mod with the vast majority of RTA’s available. This allows you to fully customize your electronic cigarette to make sure it meets your personal vaping needs. Additionally, this e-cig comes with a dual-post deck – making it capable of usage with single and dual-coils. The FrankenSkull E-cig features one single 18650 battery (not included) that, thanks to the vapor’s simple and no-nonsense design, brings enough juice to get you through multiple of relaxing vaping sessions. Within its remarkable body, this e-cigarette holds a large 6.2ml tank that can be filled up with any e-liquid of your liking. Simply attach your RTA to the box mod, fill it up and you’ll be all set to sit back, relax, and enjoy countless relaxing vaping sessions to come. Its adjustable airflow further increases your overall vape experience by allowing you to manually adjust the amount of vapor and taste created with each puff you take – guaranteeing that you can enjoy ever vape to its absolute most. No matter the type of vaper you are, the FrankenSkull Styled Mechanical Mod Kit is sure to deliver a tasty and satisfying vape. The FrankenSkull Box Mod Kit comes with a 12 months warranty, brought to you by the leader in electronic devices as well as wholesale electronic gadgets..